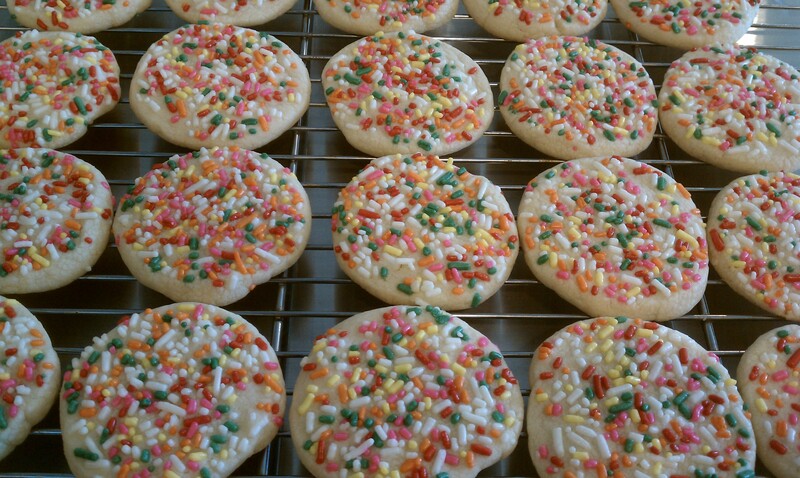 if you grew up in or near a big city with access to “old school” bakeries like i did, maybe you share my obsession with the addictive sugary, buttery sprinkle cookies that all those bakeries seem to sell. 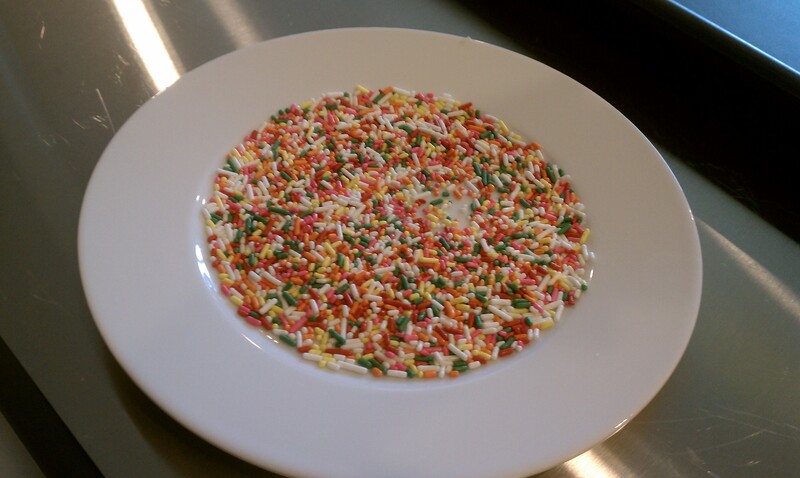 i’ve never been able to find a recipe that comes close to the right texture, sweetness factor, and abundance of sprinkles that is forever etched in my memory, so i decided to try and write one. after doing some research, and calling some bakeries, shortening seemed to be the elusive ingredient for these little beauties. 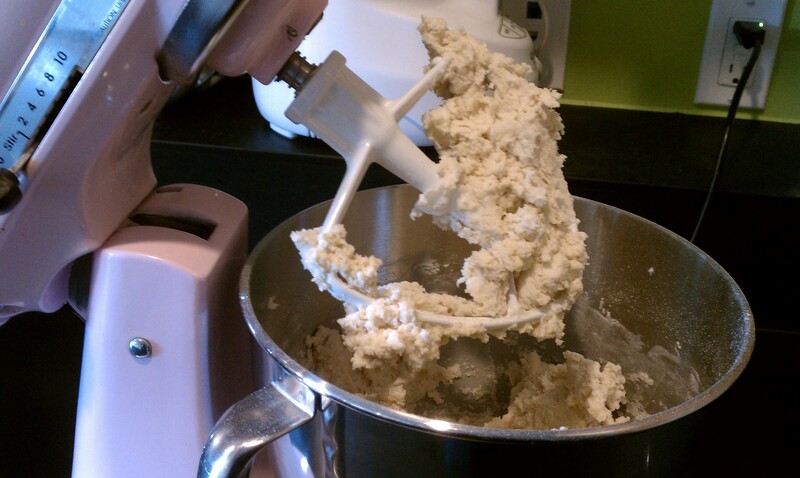 since i’m not a huge fan of the mouthfeel that shortening creates, i tried a combination of shortening and butter. 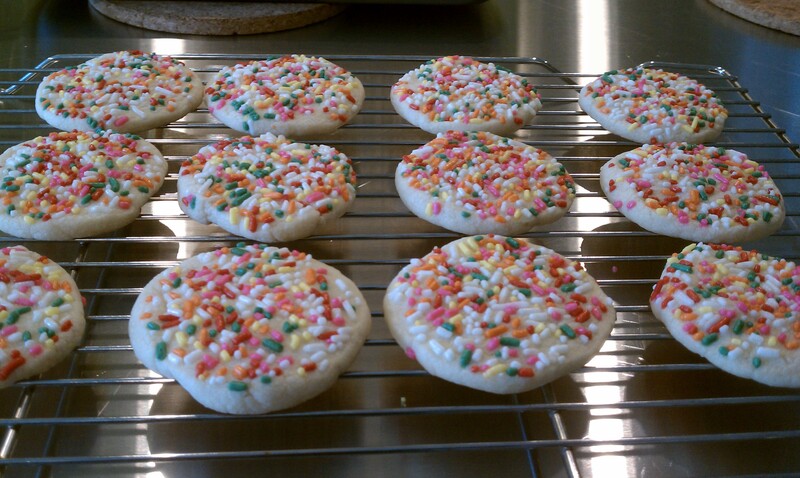 i also have no idea how those bakeries get their sprinkles to stick to the cookies since theirs seem to be pressed from a cookie gun, so i sliced my dough and pressed each cookie in a plate of sprinkles. it worked great and was super easy. i hope these cookies bring back some memories for you like they did for me. there’s no school like the old school! in a small bowl, whisk together the flour, baking powder, baking soda and salt and set aside. 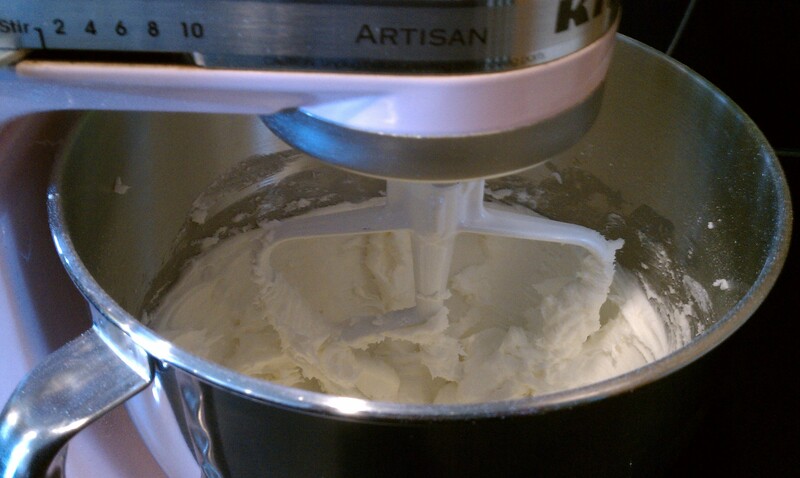 in the bowl of a stand mixer fitted with the paddle attachment, cream together the butter, shortening, and sugar until light and fluffy. add the egg and vanilla and mix until combined. add the flour mixture and mix until no flour is visible, don’t over-mix. 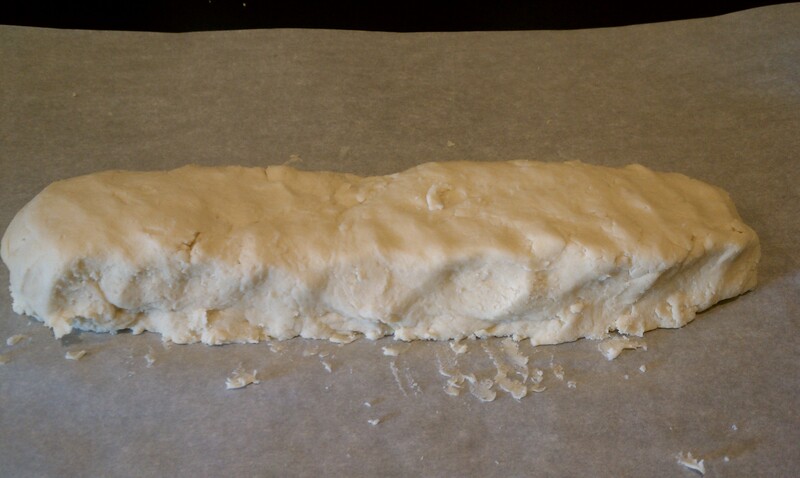 dump out the dough onto a piece of parchment or wax paper and form into a log. 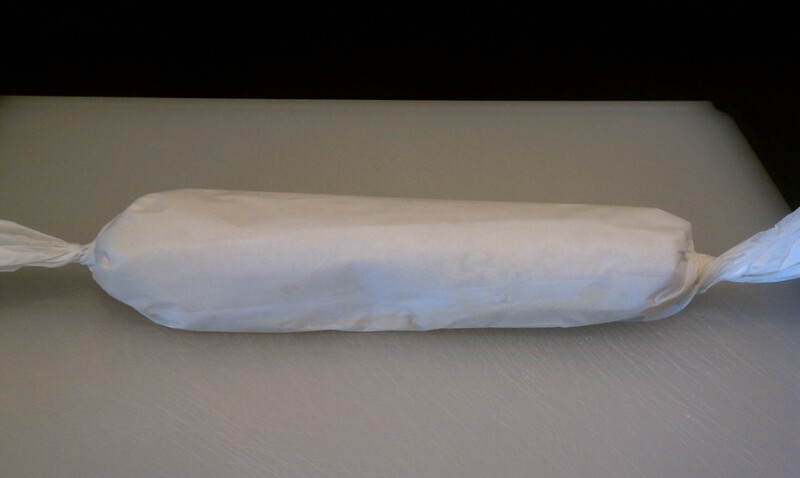 roll up the parchment and freeze the dough for 1 hour. 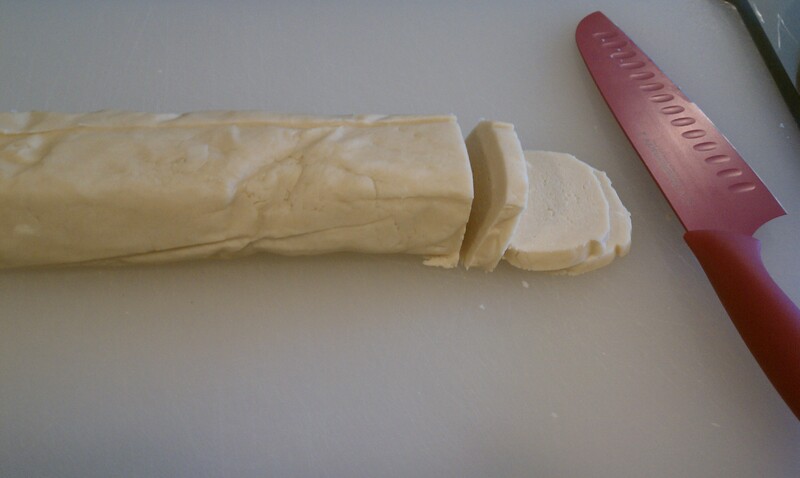 unwrap the dough and slice into round cookies about 1/8 of an inch thick. 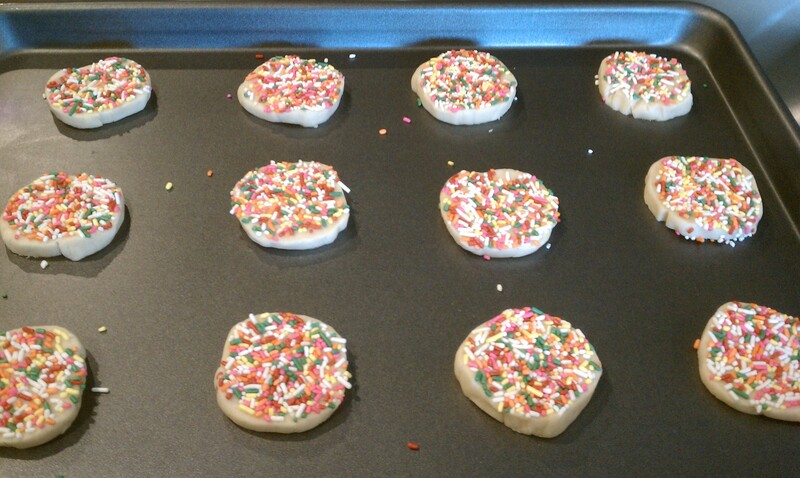 press each cookie into sprinkles and place on an ungreased cookie sheet about an inch apart. bake on the very top rack of your oven for 8-11 minutes until the bottoms are very lightly browned. cool on the cookie sheet and then transfer to a rack to continue cooling. store in an airtight container for up to a week. 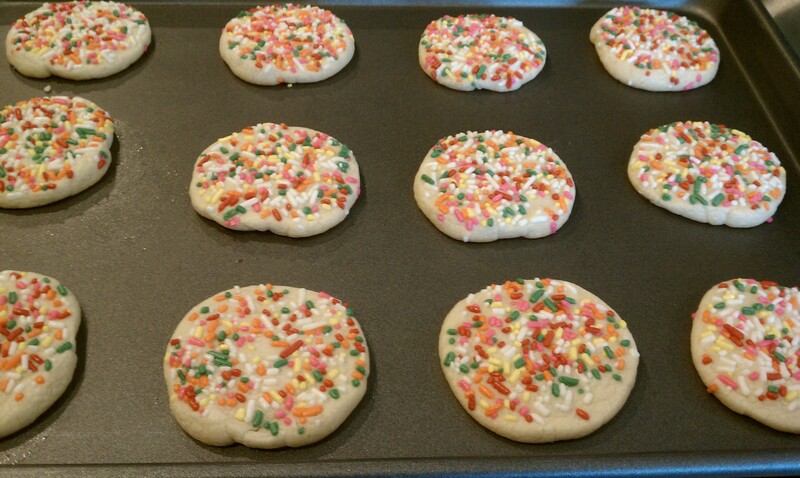 This entry was posted in Desserts, Recipes and tagged bakery cookies, butter cookies, cookies, sprinkle cookies. Bookmark the permalink. just for you (no need to put this on your page..i just couldn’t find an email for you): http://katwu.tumblr.com/ !SPrinkle extravaganza!